Big eyebrows are still having their moment, and long, thick eyelashes have nearly always been a wanted look. My sister had extensions put on her eyelashes, and although I would never go to that length (hehe) they did look beautiful. 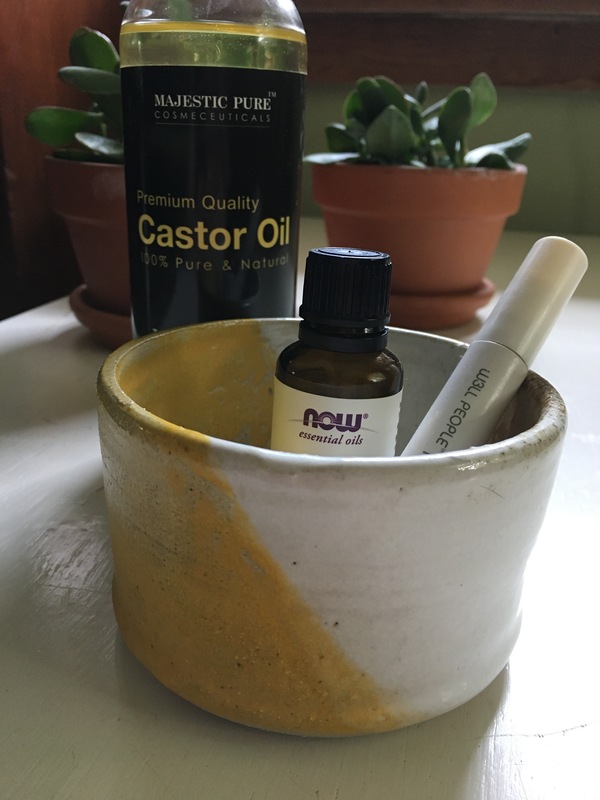 I happen to have a large bottle of castor oil, from when I was cleansing with oils, that I haven’t been able to use up yet and decided to make an eyelash and eyebrow serum from it. 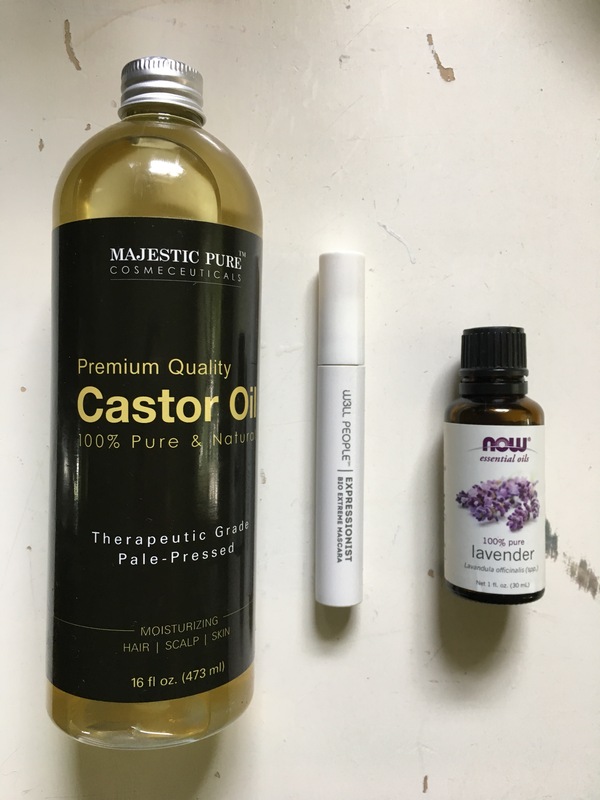 Castor oil is known to have hair growth properties and I added lavender essential oil for all its benefits as well. I don’t wear mascara anymore so I cleaned out this old mascara tube, filled it part way with castor oil and two drops of lavender essential oil, and that was it! I had myself a lovely two-ingredient serum. I store this upright in my medicine cabinet because I found it leaking the first day. I swipe this onto my eyelashes, focusing on the base, and then swipe my eyebrows before bed.